My mom taught me so much about taking care of her family. So many little things. Things you don’t realize until you are the one taking care of others and you find yourself doing them and realize, she did them too. One of the treasures I learned from my mom was a well-stocked pantry. With a few staples always stocked and restocked immediately, you will never find yourself with “nothing to eat”. The best thing about a well-stocked pantry? It’s a money saver. There is no need to run out to the grocery to buy something for dinner and it makes eating at home super-duper easy! Some of the items I learned to always keep on hand are baking supplies. The usual, flour, sugars, baking soda, baking powder, cocoa powder and salt. But also, other items like corn meal and oatmeal are also good to have on hand. Add just a few extra things to these ingredients and you can whip up pancakes, biscuits (YUM – warm biscuits and butter! ), a cake, cornbread, oatmeal cookies, brownies….and so many others! For quick dinners, I try to keep several boxes of whole wheat noodles as well as a few different kinds of rice on hand. Diced tomatoes, tomato sauce, canned mushrooms and tomato paste are also necessary staples. And don’t forget the beans! I always have both dry and canned on the shelf. With these, I can whip up several dishes. A spaghetti with a marinara sauce, or a stroganoff with a bit of sour cream and Worcester sauce, add beans and some yummy spices to tomatoes and you can make a really good chili (with or without meat, depending what you have on hand). Speaking of spices. You MUST have a spice cabinet. And not just salt and pepper, garlic and good ol’Lawry’s…you want things like coriander, cumin, paprika, dried onions, dried parsley, bay leaves, cloves, ginger, chili powder, dill weed and if you are adventurous things like curry and old bay seasoning…You get the picture. Spices can last for years, so load up your cabinet – they truly make a dish shine. In this cabinet also keep some liquid ingredients on hand. Oils, shortening, soy sauce, a selection of vinegars, and Worcester sauce. It’s important to not just keep your pantry stocked, but a few staples in the fridge and freezer as well. 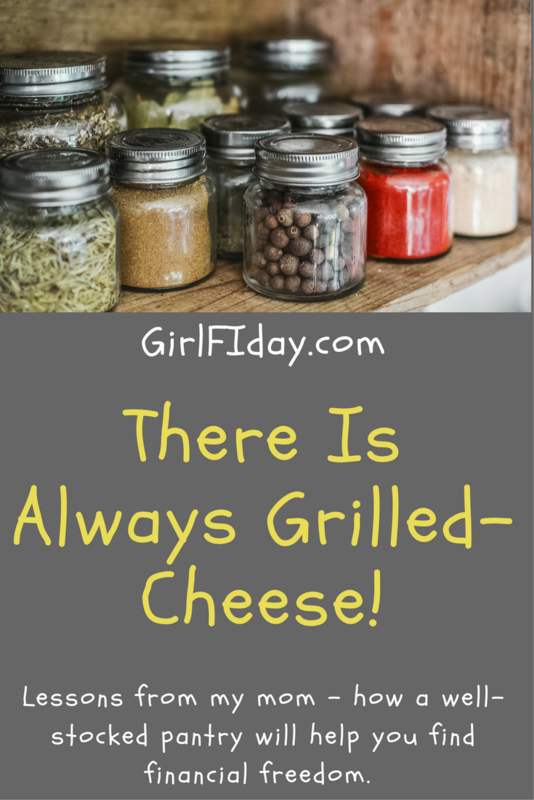 For the omnivores, keep things like shredded cheese, milk and sour cream ready. As well as easy to prepare meats like ground turkey. I buy several loaves of bread at a time at the dollar store and freeze them until we need a loaf. We are recent converts to a plant-based diet, so instead of eggs, we make sure to always have an egg replacement, vegan “butter” and almond milk on hand. We have used them in most meals as a substitute and so far so good. Part of this financial independence journey is optimizing our spending and savings. Unplanned trips to the grocery store usually mean extra money spent that was not planned for. Having no food in your house, makes it more tempting to eat out. By creating a fully stocked pantry, you are providing yourself assurance and INSURANCE that you can keep your food budget in check and on track. Sharing a house with others is hard. I remember. And its something my niece currently struggles with. Labeling helps. So does dedicated cupboard shelves (if there is room). And if all else fails HIDE IT! LOL. Thirty years old and I am FINALLY learning this.